Well this is... interesting, to say the least. 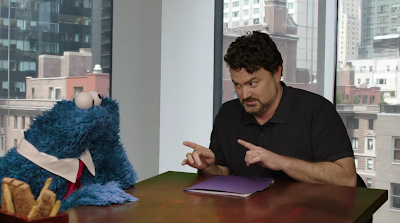 Less than 24 hours ago, Double Fine started a Kickstarter campaign to fund their next game, and film the process. Their goal was 400.000$, which they've succeeded in exceeding in the first eight hours. But the money hasn't stopped pouring in. They now have close to a million, and the 24 hour mark has yet to be passed. This is probably what Archimedes meant when he said "Give me a large enough fan base, and I will kickstart the world" *. As Tim Schafer says, it's going to be a proper point'n'click adventure game, with an estimated development time of six to eight months. Although the mere idea of Double Fine making an adventure game is exciting in it's own right, especially now, when they have Ron Gilbert on board, what's even more arousing is the magnitude of the event. This is by far the biggest Kickstarter campaign to day, also a record holder for "most funds raised in the first 24 hours". That aside, we are talking about a game that is going to be crowd-funded, relying on feedback, with the whole development process being demystified in the... er, process. It will give a team of 40-odd people a chance to make a game they want, how they want it, all the while answering to no one but themselves. It will give hundreds of thousands of people an opportunity to peak behind the curtains and see what developing a game with a full time studio actually looks like. Here's that Kickstarter link again, if you decide you'd like to participate. History in the making, folks. * May or may not be an actual quote.